Found in the left menu under Guide Control is the Splash Page control. Upload your splash page image here. 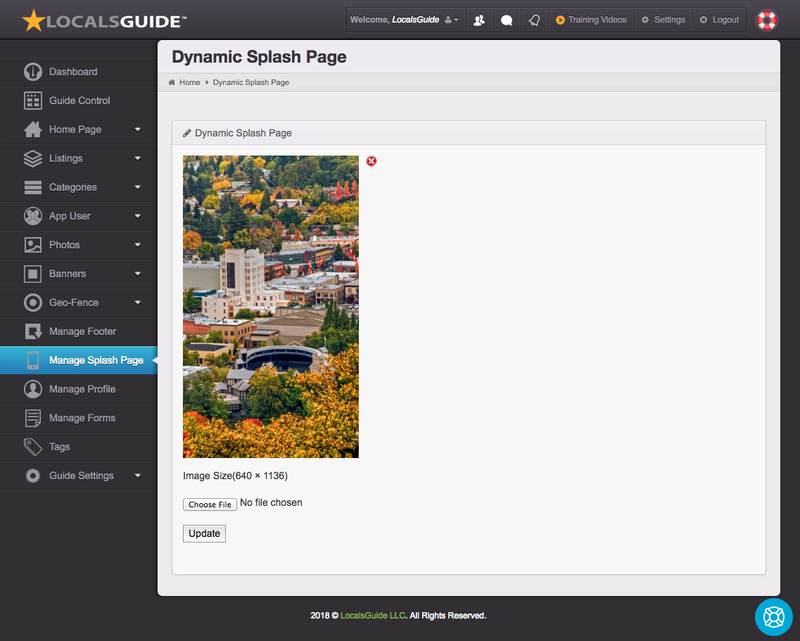 This will then dynamically upgrade in the LocalsGuide with the next hard refresh of your app.